This product is a 12-24VDC RGB LED Color Wheel Controller with your choice of a black or white touch sensitive glass covered face, meant for wall mounting in a standard size single gang electrical box. The color wheel allows for multiple color selections with 15-100% smooth dimming on any color. 19 built in color effects with speed adjustment and 20 built in static colors make this controller even more robust. 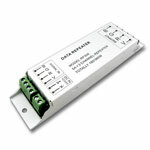 With 4 amps x 3 channel power output this controller can power up to 144W at 12VDC or 288W at 24VDC. Use this controller with any 12VDC or 24VDC constant voltage color changing 4 wire RGB(+) led strip lights, modules, or lighting fixtures. The sleek and modern finish make this a perfect controller for any RGB LED Lighting application. 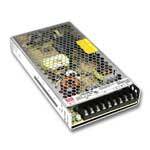 This controller is designed to be wall mounted in a standard size single gang junction box. See the controller video to get a better idea of the installation, color choices and controller functionality, this controller is RoHS and CE approved. The Super Nova 4 RGB is truly an amazing RGB LED Module from Ecolocity LED. 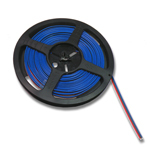 This RGB Module is able to show 16 Million shades of color and easily conforms to circular and curved layouts. 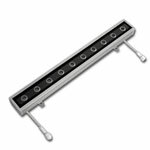 Each module has 4 Premium Samsung LEDs on Board with 3 in 1 RGB chips inside each Samsung LED. The color brilliance is excellent with the Super Nova 4 RGB! This module can be made to fade in and out of millions of colors, flash or blink and individually dim each of the Red, Green or Blue colors. Can be used for Set designs, Theater designs, Casino Lighting, Exhibit designs, Displays, bars, DJ Lighting and many more applications. The LED module's clear PVC body provides water-resistance. Works well with any size channel letters or light boxes and signs; Click Here for demonstration video! 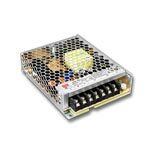 A 12 VDC constant voltage power supply is required to connect a series of 30 module strings in parallel connections (See Installation Guide). 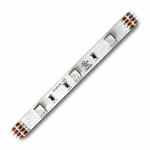 3M™ VHB™ mounting tape on the back, provides the best long-term mounting solution for our modules. Note; Module is non-submersible / non-UV proof. 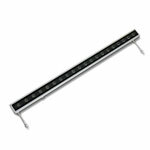 All Super Nova LED Modules are UL recognized.